What we accept as “civilized” in a colonial and neocolonial era needs scrutiny. In order to understand the point of pouring libation we must delve deeper into the interstices of traditional African philosophies. It is there that the link between civilization and the pouring of libation are firmly established. The essence of civilization from an African fulcrum rests on pouring libation to the closest, most intimate of the Gods we know, the Earth, or what the ancients refer to as Mother (Asase Yaa). The idea of a civilization point to two definitive characteristics of a civilized society: (1) One that is a highly evolved culture, and (2) one that is able to sustain itself without trouble. Put another way, a nation has achieved civilization when it is both highly cultured and non-parasitic. That is, the nation that does not depend on exploiting others to sustain itself is considered a civilized one. Civilized people are a cultured people, and they do not engage in the exploitation of others. However, what is “high culture” is a debatable issue. It is made moot by the general lack of objectivity in definition. The reason that is, is a straightforward one. The need to brand a society as “highly evolved” or “highly civilized” or “civilized” has (geo)-political implications for the observer. For instance, if a French scholar in the seventeenth century, visiting the West Africa coasts, were to have branded Dahomey (and the pouring of libation to the Gods) as highly civilized, it would mean that Dahomeyans had little to gain from western contact. (Certainly Dahomeyans would have had nothing to gain from accepting to kneel down to a foreign God like Yahweh). Obviously such an observation would have undoubtedly deviated from the evangelizing, terrorist mission of the French scholar in Africa. In fact it would have meant that the French scholar would have had a lot to learn from Dahomey, and not vice versa. In addition, the idea of a “high culture” has often been (mis-)understood as technologically advanced. In other words nations that have high culture are also highly mechanized. This last point often assumes that a society that is not highly mechanized cannot be a highly civilized one. Or can it be? The need to brand a society that is not highly mechanized as uncivilized holds tremendous geopolitical implications in the west. For that matter since the seventeenth century, it has been rare for western scholars (and western styled scholars) to consider an African nation such as the Kingdom of Benin as a highly civilized society, even as that African nation produced all of its own technology and was able to sustain itself without trouble (without the exploitation of other nations or peoples). But if the idea of civilization involves the idea of sustainability, how does one judge a society that is highly mechanized but which is unable to sustain itself? Is a highly mechanized society that is unable to sustain itself a civilized nation? It is rare, even impossible, for a European nation, especially in the twenty-first century, with all the “best machines” in the world to consider itself an uncivilized society even as it wages cold economic wars, secret mercenary wars and perpetual atomic bullying against other nations in order to sustain itself. It is impossible for a highly mechanized nation like the United States of America to consider itself an uncivilized, uncultured nation although it engages in primitive warfare against other states, other peoples, other nations in order to sustain itself. Hence although the degree of a high culture may rest in the beholders eyes, the degree of mechanization (or the degree of laziness) of a society and the degree to which that society exploits (depends on) others are not debatable. Whatever the definition of civilization it has immense geopolitical consequence. Hence we live in a world where the facts are often twisted, the facts are made ridiculous and the lies become the modus operandi. Take for instance a nation that is not self-sustaining, and so lazy that it violently colonizes scores of African nations in order to maintain its lifestyle of living beyond its means. Take for instance a nation like France. How is France a civilized nation when it is built on and is maintained by the exploitation of Africans and the consumption of African natural resources? Even more pressing, how is a nation like France, which is built on the exploitation of its own habitat, the Earth, civilized? Pirates, terrorists and thieves are not hardworking. Rather, because they are lazy they engage in utter violence (the utter exploitation of others) to sustain their lifestyles. Civilized nations are self-sustaining, hardworking and entirely able to live within their means. France cannot be a civilized nation. In the twenty-first century the status quo is that exploitation is good. The west, which includes nations like France and the United States of America, having incinerated all forms of the early African oversight they once had, have now solely devised principles by which all forms of exploitation are considered goods. The exploitation of labor (slavery) was a wealthy good. The exploitation of labor—in many of its new forms even today (like America’s Prison Industrial Complex)—is good. The exploitation of lands and the seas is also wonderful. They call this primitive affair, Capitalism, or even Socialism. In this, the idea of exploitation as a good defines civilization itself. The more a nation can exploit others, the more a nation can exploit its habitat, and exploit other’s habitats, and the more a nation can consume and waste the goods of this exploitation, the more civilized that nation can become. Furthermore, the more mechanized the nation in its gross exploitation of others; the more mechanized the nation is in its concomitant exploitation of the lands and the waters; and the more mechanized the consumption in the nation, the more highly civilized the nation. Still more, the faster the rate of this exploitation (growth rate) the better. Sustainability is turned on its head (concealing the true identity of the exploitation that is) and the idea of a civilized nation means something completely different from what its thinkers in Africa formulated millennia ago. Sustainability in a European nation like France is only mentioned if it furthers the policy of continuous exploitation, more consumption and grotesque waste production. For example, phrases like sustainable growth and sustainable development are fabricated. They all go to conceal the decadence of capitalist exploitation and the gross consumption (and waste production) of the goods of this exploitation. There is nothing sustainable about more consumption (economic growth) and certainly nothing sustainable about development (more mechanized exploitation and consumption). Such phrases are oxymorons designed to mislead and bamboozle the sheeple. There’s a marked difference between what the European thinks and what the traditional African thinks that civilization entails. The difference is rooted in an ideological separation. Traditional African philosophy (such as Ma’at, Agbodedefu, Asase Yaa, etc., not the neocolonial European philosophies of Africa) submit that the Earth is not just a living thing, but even more. (Life is not only dependent on thought, for no one can tell another’s mind. Observable actions define life.) The Earth is Our Mother because it sustains us. Further, the Earth is the only reliable God: (1) The Earth supports the fruitful reproduction of our sustenance (we plant a seed of corn and we reap a hundred of them) and (2) the Earth freely affords us sustenance even where we have not sown (we drink water, breathe air, and fish from the oceans without raising the fishes in the seas ourselves). European philosophy on the other hand is designed to patently object to these African assertions and hence its obvious point of departure away from the ancient African summation is obvious: To objectify the Earth. The need for this is also obvious. It is a geopolitical reasoning. One cannot remain a pirate and a terrorist (parasitizing on others’ labor and resources, and exploiting one’s own environment without consequence) unless one believes that there’s something thoroughly necessary about remaining a pirate or a terrorist. The philosophical difference between European thinkers and their African seniors is consequential. It is easy to see how the doctrines of the exploitation of others, the exploitation of the lands and seas, and the exploitation of the Earth result from the European sense of objectifying the Earth. Instead of developing technologies that establish balance between human activities and the Earth (as Africans had accomplished before), Europeans enact and develop technologies for the continual exploitation of the Earth. Capitalism. It is easy to see how it is impossible for the west to hold honest debate on Climate Change and Global Warming in a fruitful way that involves developing new technologies for less exploitation, for less consumption and for less waste production. It is difficult to see European thinkers embrace sustainability or what the ancients in Africa called Ma’at. As a result, European nations—including nations that still suffer the brunt of western colonialism—although they remain only five percent of the world’s population, they consume more than 60 percent of the world’s resources and waste more than fifty percent of what they consume. In addition, within the past hundred years since European doctrines have held global sway, the west alone has destroyed more than sixty percent of the world’s species. Taken together, from the fifteenth century onward, no other period in human history has seen so much destruction, so much exploitation, so much consumption and so much waste in the name of “civilization.” It is to the point that the very planet we live on has been pushed by Europeans, and their collaborators, to the brink of total destruction. Is it civilization or barbarism? The philosophical difference between European thinkers and their African seniors is not without real consequences. In one there’s total respect for Mother Earth (Asase Yaa) and in the other there’s zero respect (Consumption and economic growth). In one the necessity to respect the planet calls for the need for technologies that enable humans establish balance with Mother (Agbodedefu or Ma’at). In the European conception however, the Earth itself has no intrinsic value unless its resources can be hewn, and unless these resources can be turned into desirables through gross exploitation—for grotesque consumption and for producing more and more immoral waste. 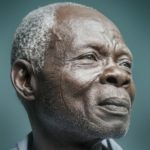 The philosophical difference between European thinkers and their traditional African seniors is not without real consequences. In one the thinkers pour libation to Mother Earth in constant reverence and in the other the aliens see the planet as an object, to be used to satiate their grotesque desires. In one the inhabitants respect their habitat, and in the other the aliens are intent on destroying our human habitat. In one the thinkers are civilized, whereas in the other the thinkers are led and swayed by their gluttonous inhumane appetites. In one the Africans pour libation, in the other the aliens don’t. “The philosophical difference between European thinkers and their traditional African seniors is not without real consequences.” …In one the inhabitants respect their habitat, and in the other the aliens piss all over the habitat. Look Narmer, your essays are of immense consequence. Keep it up. A wonderful read. 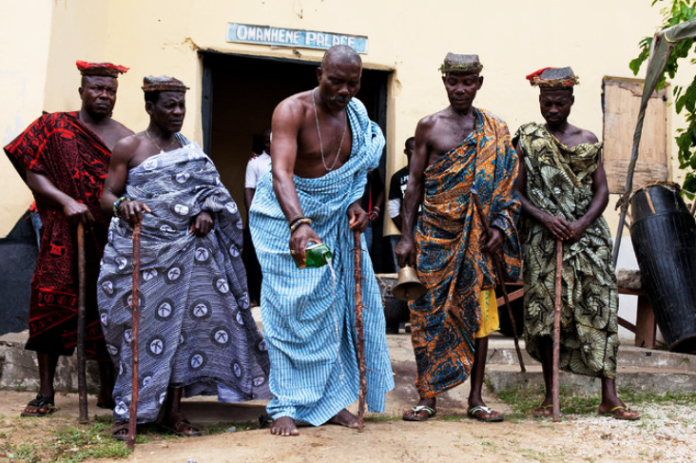 Subsequently native cultural aspirations were disrupted and Westernization mainly through attainment of western education and consumption habits became the overriding ambition for many local households… However it is increasingly evident that western education is not the answer to our social-cultural mobility. If anything it has become the reason for rural poverty and backwardness in Africa as poor fchildrenolk sell the little they have to get their educated only for the kids to join the jobless ranks of urban youth. France’s extra-parasitic dependency on its African ex-colonies has details causing consternation. The EU needs to force France to stop receiving its statutory colonial tax, and let France concentrate on developing robot technology to help vastly increase productivity and drastically reduce the cost of production of goods and services, so that their human workers can stop their ceaseless strikes, industrial action effectively forcing the French government to want to exploit foreign labour deeper in order to pacify the domestic electorate.